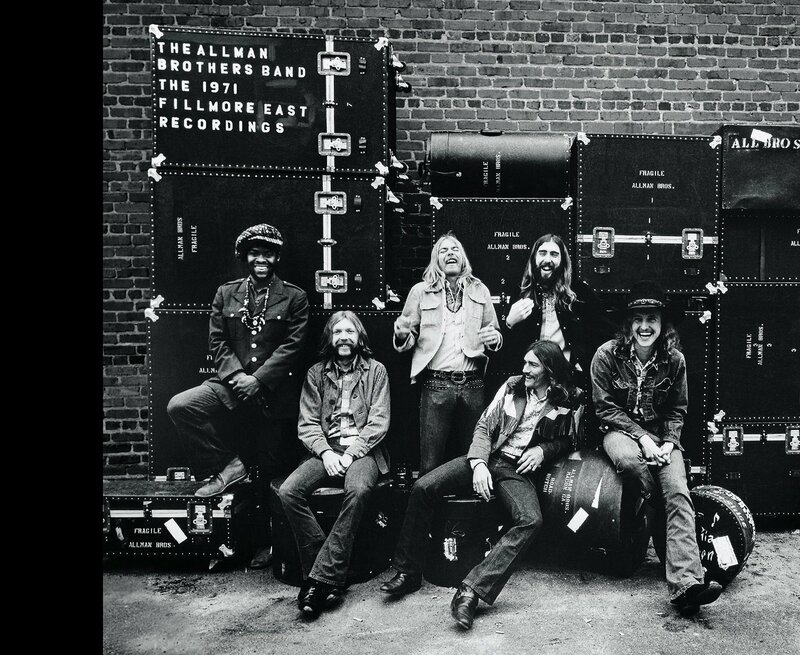 In honor of the 47th anniversary of the Allman Brothers Band’s epic show that closed the Fillmore East down on June 27, 1971, I present the following brief excerpt from One Way Out: The Inside History of the Allman Brothers Band. 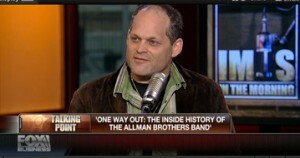 To read the full story and learn about the making of At Fillmore East, pick up a copy of One Way Out. 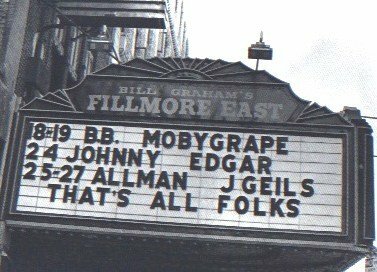 Just three months after the band recorded their double album At Fillmore East, and less than two weeks before its release, Bill Graham decided to close his landmark venue. He chose the Allman Brothers Band to headline three final nights, billed with the J. Geils Band and Albert King, and to be the theater’s final performers, at an invitation-only performance on June 27, 1971 that also featured special guests Edgar Winter, Mountain, Country Joe McDonald and the Beach Boys. WILLIE PERKINS: Bill Graham never paid anyone top dollar at the Fillmore and a lot of bands went off to other promoters as a result and Bill would feel like they had turned their back on him. But we loved playing there. The guys hated most promoters, but they loved Bill. GREGG ALLMAN: He closed the Fillmore with three nights and wanted us on all three, which I though was the kindest gesture and coolest thing. we had never thought of before or since. Those are the moments that have always made this thing work, the reason we’re still doing it and talking about it now. ALLMAN: The second night we played up there for hours and hours, and walked out in the morning. The last night, everybody was already whipped from the night before. On one of the recordings we did, you can hear my brother saying, “It’s awfully quiet in here.” Everyone was burnt out. So the Beach Boys had to swallow their pride. Bill was never one to talk much when he introduced bands – “Ladies and Gentlemen, the Allman Bothers Band” – but that night he got up and read this speech about us and it was just incredible. Thanks for sharing, so very special! They left their mark on many lives and I am Glad to see one of them was mine. Their music will live forever. Thank you for the memories!